Pastries at Butter + Beans. Photo: Alia Ali. Most Malaysians grow up eating bread. Sweet, almost milky white bread that comes in neat plastic wrap at your corner kedai runcit, slathered with a bit of margarine and sprinkled with sugar. As a kid, I remember trips to neighbourhood bakeries for a sausage roll (preferably with mayo and chilli sauce baked on top), a luxurious treat given as a reward if I behaved myself. European style bakeries here were always more niche. “Keras sangat,” my late grandmother would say about crusty European breads with their dense crumbs. “Sakit gigi nak makan.” The exact opposite is the complaint of many Europeans who buy local bread, too soft and sweet to provide any real heft to their meal. However, urban appetites are beginning to slowly shift. 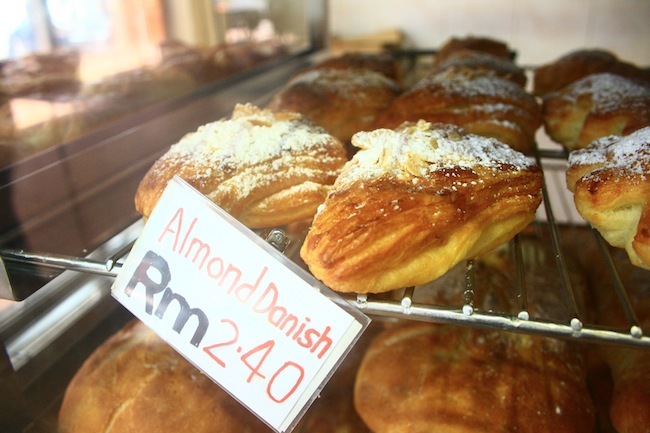 Patisseries based on European bakeries have started to spring up all over the Klang Valley, windows filled with creamy pastries. Boulangeries have opened up shop, serving up crusty pains. 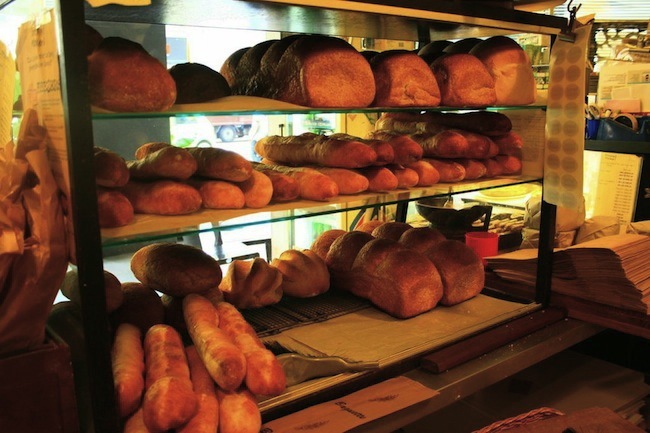 Bakeries are finally starting to smell of sourdough and yeast, instead of grease and sugar. KL-ites are spending more money on “fancy” bread, increasingly pronouncing French names as if we just returned from a summer in Normandy. 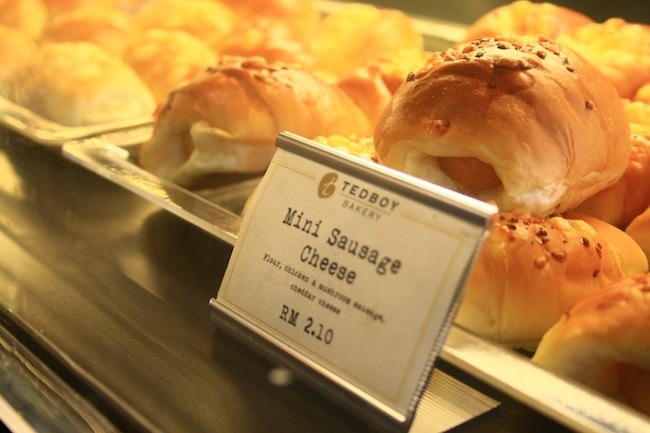 Yeast and Tedboy both opened within the last year in Bangsar, and they were recently joined by the Korean chain Tous Les Jours. A passing trend? Possibly. 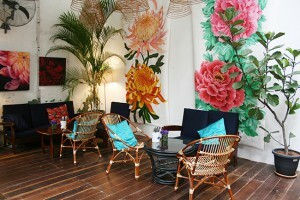 KL is a city that dines on novelty, as the cupcake and macaron phenomena of yesteryear attests. Yet I can’t help but hope that the passion of the bakers I met will help them make it in the long run. Those that I spoke to emphasised that artisan baking is a labour of love. And it is astoundingly good bread. To tear into these loaves for yourselves, here are some artisanal bakeries where you can sort the brioche from the baguette. Tucked deep inside Paya Jaras, an area near Sungai Buloh town, is White Brick Oven. Named (unsurprisingly) for its white brick wood-burning oven, baker Mustaffa opened shop here with his wife Mardia over ten years ago. When Mustaffa moved here from England, he realised he wasn’t a fan of the bread in the local markets. Naturally, he decided to not just bake, but mill his own flour! 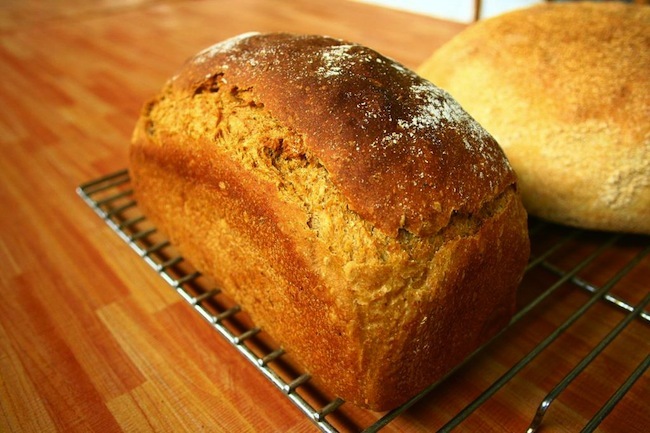 As a result, his breads pack a great earthy flavour, thanks to flours like rye and spelt. Drop by on Sundays for tea and scones, and ooh and ahh over his impressive-looking Austrian flour mill. You can order his bread (and flour) directly from him. We recommend the rye and caraway loaf. The seeds lend a subtly spicy surprise as you bite into this soft yet hefty bread. Perfect for buttering and dipping into soups and stews. 1675A-1, Jalan Gajah 14, 47000 Sungai Buloh (0129711591). Having spent ten years in France as a teenager, Tommy developed an appreciation for bread and its importance on the European dinner table. After he returned, he set out on a quest to perfect a ferment (also known as culture, starter, or mother dough) that could be the base for all his breads. After successfully creating this, he opened his bakery in late 2010. This ferment is still used today. It’s a hole-in-the-wall space, a small shoplot on the ground floor of a condominium block. You’d miss it if you weren’t looking for it, but the smell of fresh bread will turn your head in an instant. 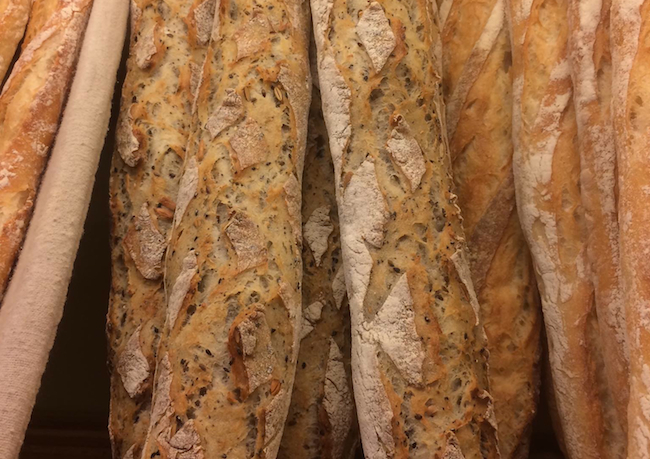 If a trip to France isn’t in your near future, drop by Tommy Le Baker for a baguette or three. Apparently they’ve made an old Frenchwoman weep with happiness. 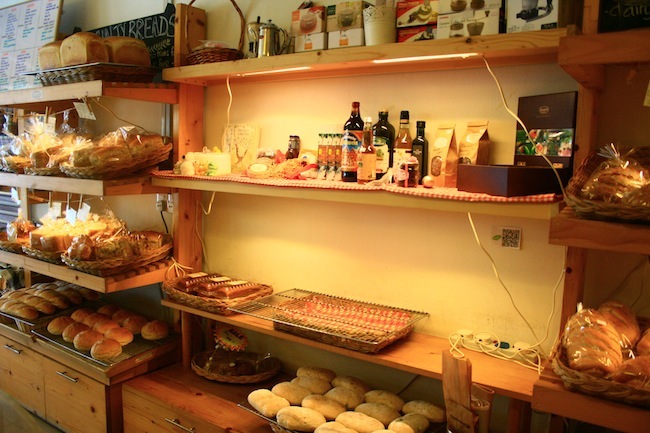 As well as loaves of bread, you can buy sandwiches and even eat them outside. 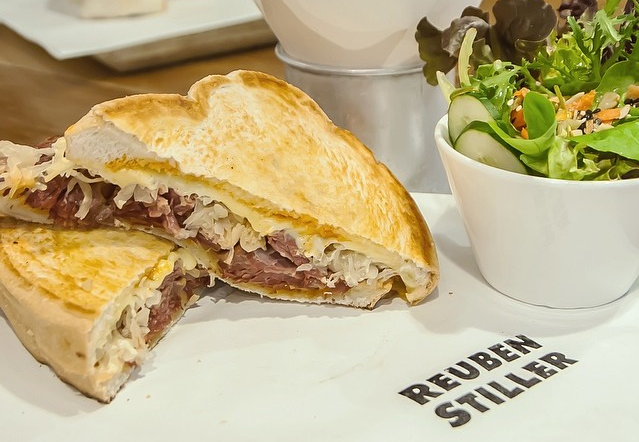 Try the carved roast beef sandwich, which comes with beef, fresh tomato slices and a few pickle slices, doused in whole grain mustard and toasted with a bit of cheese – for only for RM10. Unit B-0-7, Viva Residency, 378 Jalan Ipoh, 51200 KL. 8am – 6pm, Tuesday – Sunday. Hipster hangout and delicious baked goods meet at Butter + Beans in Section 17, PJ. A tiny place (we estimate a comfortable capacity of about 20 pax), it’s secluded within Happy Mansion, a residential area that used to be one of the quietest in Petaling Jaya. 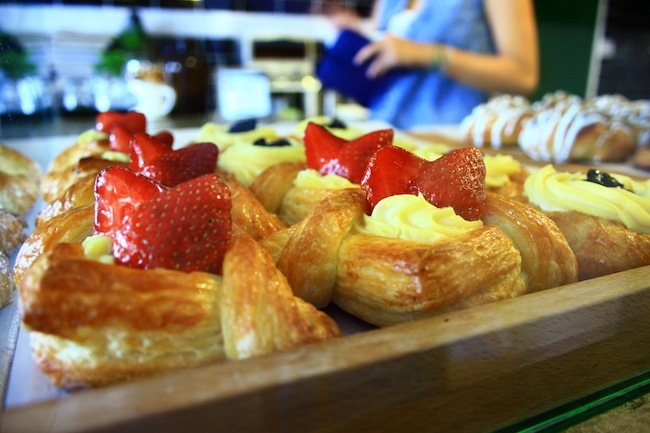 Along with the nutty seeded loafs arranged neatly in baskets behind the counter, Butter + Beans serves a small but impressive selection of danishes, croissants and other pastries. Their hazelnut twist is a crispy and almost chocolaty concoction reminiscent of nutella, while the cream filled fruit danish is topped with fresh berries. They also serve up generously filled quiches (we like the salmon). BG 1A, Happy Mansion, Jalan 17/13, 46400 PJ. 8.30 am – 8.30 pm, daily. A bustling bakery and restaurant right in the heart of KL, Levain serves hungry locals and expats alike with a multinational kitchen crew (a Japanese and an Australian are in their midst). Their pièce de résistance is a majestic imported stone oven that gives all their breads a beautiful char, so you “nak yang hangus sikit” lot can choose the darker breads and pastries if you wish. Their breads are excellent, though catering towards those who prefer a softer chew. 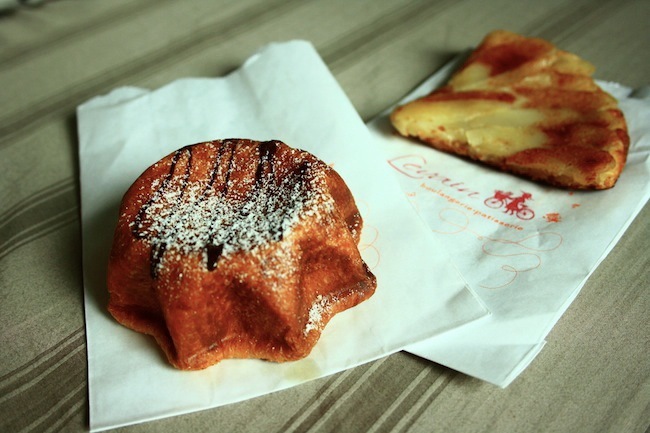 Their fruit-filled pastries are irresistible. I tried the mango brioche: drizzled with chocolate sauce and filled with a creamy concoction studded with mango bits, the brioche was inhaled in about 15 seconds. The pear and cinnamon tart is also recommended. 7, Jalan Delima, 55100 KL. 7.30am – 9.30pm, daily. Jin Ling of The Carpenter’s Daughter left computer science behind in 2008 and never looked back. Baking has always been a hobby for her, and for a few years she baked from home, supplying bread to over a dozen organic shops arouns the Klang Valley. Then she finally opened her first store in Ampang in 2011, but after a few months, decided to move the business to USJ. Being the daughter of a carpenter (hence the name), Jin Ling sees many similarities between the two fields. “Just like carpentry, there are a lot of details, it’s handmade, artisanal, and it needs a lot of attention!” This attention is especially evident in her beautiful sourdoughs, with cracklingly crisp crusts and a slightly tangy and pleasantly chewy middle. She also makes gluten-free breads through special orders. No 46G, Jalan USJ 10/1E, 47620 UEP Subang Jaya. 8.30am – 9.30pm weekdays, 8.30am – 10pm weekends. 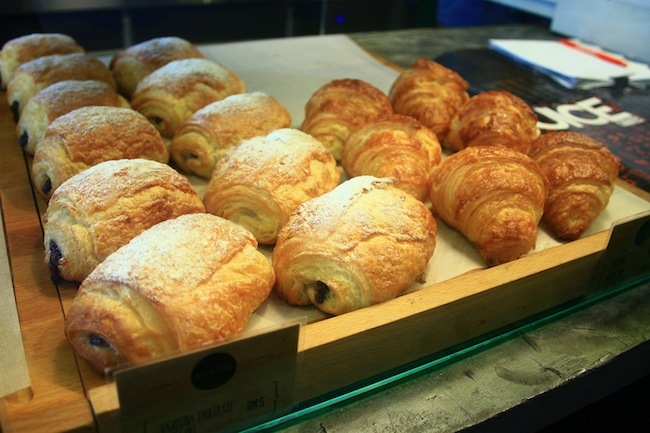 His croissants are a dream – get the chocolate ones, where warm gooey chocolate encased in buttery flakey pastry. F-0-3, Plaza Damas, 60 Jalan Sri Hartamas 1, 50480 KL. 7am – 7pm daily, closed Sundays. Dinesh, Allison, and Victor used to hang out at Haute Food Co, which anyone will tell you was the place for gorgeous down-to-earth, unpretentious cakes. When news came that Haute Food Co was going to close its shutters for the last time, the three friends decided to dive into the deep end and realize their dreams of opening their own café. Taking over the same space, they now serve much of the same style of desserts: fruit-laden pavlovas, hummingbird cakes, last-meal-worthy banana cream pies and much more. 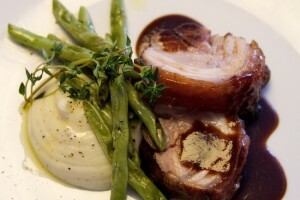 The trio are always experimenting and using what’s fresh and available. “That sticky date pudding you’re having?” asks Dinesh, pointing at our rapidly disappearing dessert of molten toffee sauce poured over sticky sweet date pudding. “It’s usually a sticky fig pudding, but those aren’t in season now. But still sedap, kan?” It definitely is. H-0-2, Block H, Plaza Damas, 60 Jalan Sri Hartamas 1, 50480 KL. 10am – 5pm daily, closed Tuesdays. The sourdough starter at The Kitchen Table Bakery has a history that goes back more than two centuries (you can read about it here). Marcus Low and Mei Wan Tan now use this starter as the basis for their sourdough bread, which is served with their lunch and dinner meals. If you’re too late for their lunch service and too early for dinner, their desserts on display are more than a match for a hungry appetite. 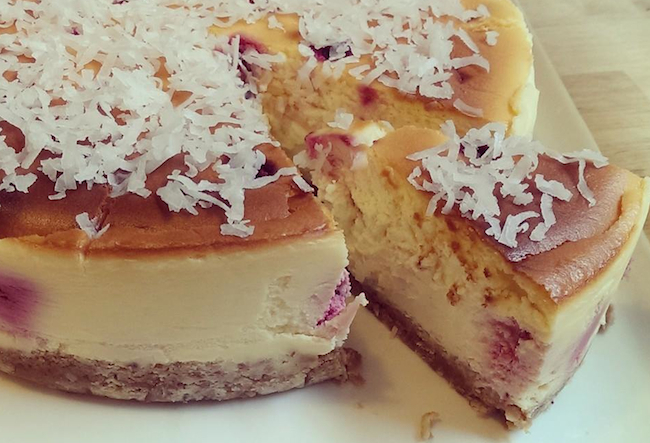 Smooth New York-style cheesecake, chewy raspberry coconut crack slices, and carrot and pineapple cake are among the desserts on offer, showcasing the creativity of Mei Wan, who is the head honcho of sweets at The Kitchen Table. 23, Jalan SS20/11, Damansara Kim, 47400 PJ. 10am – 5.30pm daily, closed Mondays. The premise of Tedboy Bakery is a beautiful one: to help make the world a kinder, more healthy place for a boy named Ted. Ted is the son of owners Edward and Patrina, who set up shop in the busy Telawi area of Bangsar a little over two years ago. They pride themselves on using all-natural ingredients with no added preservatives, and serve a variety of baked food from brownies to bread loaves to soft buns. Any and all of their unsold bread gets donated to charities that in turn distribute them to the homeless. Our pick has to be their foccaccia buns, fluffy yet hefty, with generous amounts of topping. 10, Jalan Telawi 4, Bangsar Baru 59100 KL. 7.30am – 10pm daily. The supermarket in Publika has a busy bakery at its epicentre – where all the breads for The BIG Group’s restaurants are baked daily. A selection are also on sale, with baguettes, multigrain breads and focaccia sitting alongside decadent cakes, doughnuts and pastries. The flaxseed sourdough bread is a particular joy, with its elastic, grainy bread best paired with some really good butter. You can order sandwiches to eat in or take away at Bwitched, just next to the bakery. Ben’s Independent Grocer, Publika, Jalan Dutamas 1, KL 50480. Opens 10am – 10pm daily. 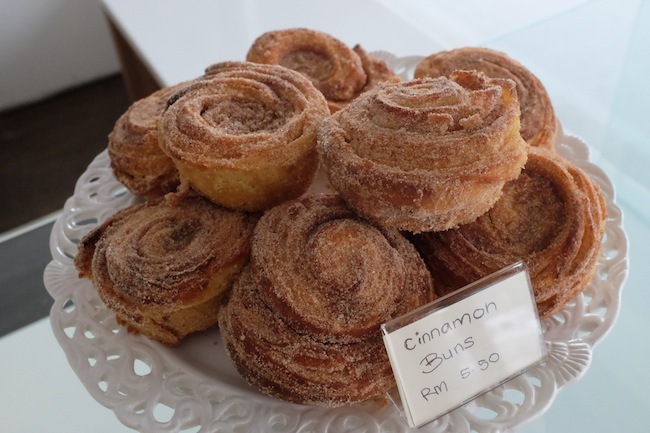 RT Pastry House first opened 11 years ago in Taman Desa and quickly expanded to five more outlets around Klang Valley. The outlet in SS15 is always packed and has even expanded to a café next door. Drop by for Japanese- and Taiwanese-style goodies, from fluffy Hokkaido cakes to sugary melon buns to cannoli-style cream cheese-filled pastry shells. 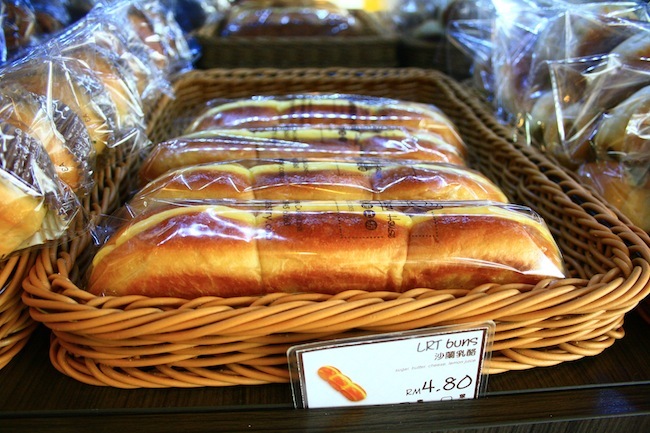 Like Tedboy, they donate surplus breads and buns to orphanages and old folks’ homes daily, and are commited to using natural ingredients in their baked goods. Yeast, opened by French-Malaysian couple Christophe Chatron-Michaud and Lissan Teh, is a postcard-perfect replica of a French bistro-boulangerie. Rustic country breads abound, with the occasional brioche sneaking in between the baguettes. Their menu offers a selection of French dishes like their lusciously creamy ouefs en cocotte (eggs in pots) and quiche lorraine, but I made a beeline for their pain de campagne, or country sourdough. The thick crust and density of their sourdough isn’t quite for everyone, but a quick tear of the loaf, toasted and buttered, is perfect served up alongside a bowl of soup. 24G, Jalan Telawi 2, Bangsar, 59100 KL. 8am – 10pm, Tuesdays – Sundays (closes at 10.30 pm on Fridays and Saturdays). 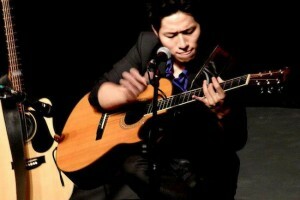 Photos by Alia Ali, Ling Low, Tray Café, The BIG Group and Yeast. First published July 2013; Updated October 2014.